I believe it is never too late to learn an instrument and everyone has the potential to play the piano. I believe in broad-based and well-balanced music education, which integrates repertoire, technical development, improvisation, sight-reading, ear-training, music history and theory. I believe in creating a fun-loving environment that allows for mistakes. Perfection is not a learning goal. It is more important to quickly find creative, spontaneous reaction to handle the mistake. I believe that human body is the first musical instrument. Experiencing music through rhythmic body movement enhances the learning. I believe in ensemble playing. Group learning and the joy of making music with other musicians is an invaluable experience. I believe in active parental participation. The interaction contributes to a positive and successful learning experience for the young students. 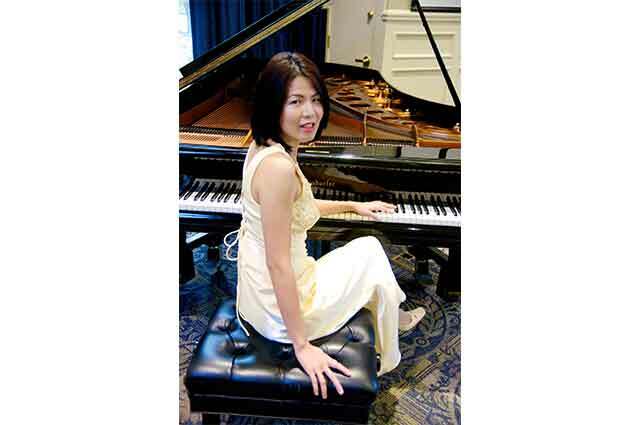 Karen Lien, an active member of MTNA, holds a Master of Music degree in Piano Pedagogy from Butler University. She has earned the NCTM designation through MTNA’s Professional Certification Program and is honored to be a nationally certified teacher of Music, NCTM. She graduated with distinction and was nominated for the Pi Kappa Lambda National Music Honor Society. Additionally, Karen has won the Excellence in Piano Performance award while studying in University of Texas at San Antonio. She was selected as the recipient of National Conference on Keyboard Pedagogy (NCKP) and UTSA Piano Performance Scholarship. She studied classical piano under the tutelage of Kate Boyd and Courtney Crappell. She also studied Jazz piano with Gary Walters and Brent Watkins. Karen enjoyed performances with Butler Jazz Combo, UTSA orchestra, UTSA wind ensemble and concert choir. During the time at Butler and UTSA, Karen had the privileges to have master classes with Robert Spillman, Aldo Mancinelli, Kent Cook and Laurens Patzlaff. A passionate teacher, she seeks to advance her professional development by attending and presenting in national and state conferences. In 2014, under the guidance of Karen Thickstun, Karen and her colleagues from the Butler University MTNA Chapter presented “Creating a Musical Wonderland: Teaching Composition Through Storytelling” in MTNA National Conference and Indianapolis Piano Teachers Association (IPTA) meeting. In 2013, Karen attended MTNA national conference and presented a poster session with Butler University MTNA Chapter. Karen served as vice president in the Butler University Collegiate Chapter of MTNA and helped coordinating a member recital, the annual Children’s Music Festival, conference presentation and volunteered at AIM and Hoosier Auditions. In 2017, Karen received the prestigious MarySue Studio Teacher Fellowship Award for outstanding studio development and contribution to music community. 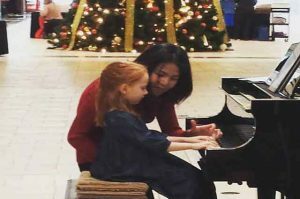 In addition to teaching, she served as pianist and choral accompanist for First Chinese Baptist Church in San Antonio and has accompanied theater productions and choirs in Texas, Ohio and Japan including Spring Creek Untied Methodist Church, Dayton Chinese Christian Church, Tokyo Presbyterian Church, Yokota Middle School, Missoula’s children theater and Yokota Theater. - 'Practically Perfect in Every Way.' "
You LOVE Piano is the only studio that offers creativity-centered “Play a Story” program in San Antonio. Join our studio and unlock your inner musician. Let the sparkle in your eyes shine a lifetime. You LOVE Piano is the only studio that offers creativity-centered "Play a Story" program in San Antonio. Join our studio and unlock your inner musician.